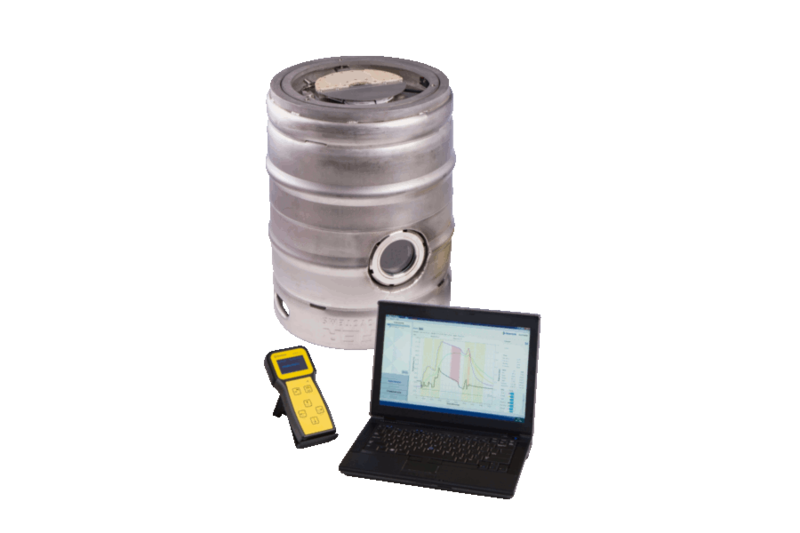 The Haffmans Keg Monitor, type KEG 2.0 travels with the other kegs through the keg washer and evaluates its performance. A windows-based PC-program processes the data, providing you a complete picture of the keg washing process. The Haffmans Keg Monitor, type KEG 2.0, consists of a specially prepared keg with a handy or charger and a dock station. The Keg Monitor travels among the other kegs through the keg washer and monitors its performance. 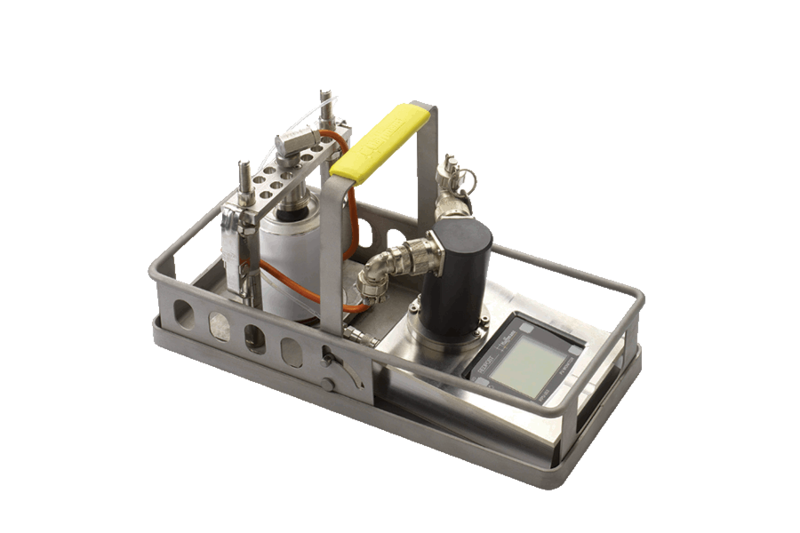 It measures the temperature of the incoming product, the temperature of the product leaving the keg, the temperature of the keg wall, and the pressure inside the keg. 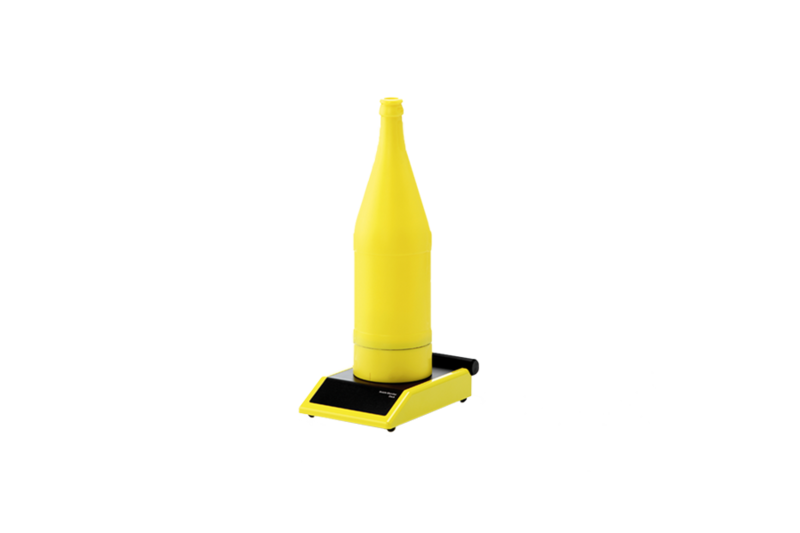 In addition, the data logger continuously registers the position of the keg in the cleaning process. After the process is finished, the handy is put onto the keg and the data is wirelessly transferred. Subsequently, the handy is placed on the dock and the stored data can be directly printed or uploaded to a PC. The software processes the measured values and further checks whether the steam was superheated, which reduces the sterilization effect. All results are displayed in a tabular and graphical format, which can be printed and/or stored. Two configurations of the HAFFMANS KEG MONITOR, TYPE KEG 2.0 are available.